The product of Akamai’s global server network, Akamai NetSession is a Content Delivery Network (CDN.) An application that runs in the system background and if installed on your computer may help you to enhance the overall speed, efficiency and reliability of your downloads and streams – this is what the company claimed to be true. But, do you know what precisely NetSession Interface or netsession_win.exe is doing sitting in your system’s background? And why it is even running in the first place? Not to fret, but it might be using any amount of your computer resources or getting its feet wet into others, that you probably don’t want it to. Are you sure that Akamai NetSession is not an intrusive software or program that may breach into your machine privacy? If you have any such queries or doubts running on your mind, making your hair grey concerning the aforementioned application, you have got to the right web page. Here, in this article, we are going to flip every stone that has been remained unturned to you so far. Akamai’s content delivery network is one of the world’s largest distributed computing platforms, responsible for serving between 15% and 30% (Source) of all web traffic. If you’re figuring out why is this application has been running in the background while there’s nothing running on the screen, we have the answer. So, pull out your questionnaire and let not be the same blissfully unaware person you were. This post is going to be one hell of a comprehensive guide that will take you through every nitty-gritty details on the subject. 1 What is Akamai Netsession Interface? 1.2 Why Akamai is running on your computer? 1.3 Whether Akamai Netsession is safe? 1.4 Is Akamai Netsession Interface a Virus? 1.4.1 How it got installed on my PC? 1.4.2 Where is Netsession Interface and Client installed on my PC? 1.5 How to uninstall Akamai Netsession from my computer? 1.6 Does it violate my privacy? Akamai Technologies is a very popular content delivery network used by large websites and popular software applications like Microsoft Azure, IBM, HP and even NASA. An internet software, NetSession interface is particularly designed for the sole purpose to deliver faster and more reliable applications, data and media downloads. Not only it improves the overall efficiency and speed of the demanding downloads but also aids the system to have considerably good streams over the internet. It has been reported that NetSession Interface is being used by many software and popular media publishers to deliver files and streams to the public. The application is helping the companies and the customers to get more downloads done in no time. Slower download speeds are certain to piss one off, and this is where the NetSession Interface comes into rescue. It basically helps you to get faster access to the company resources which you are after, by using the nearest Akamai servers. What it primarily does is, it reduces the load on the client-server by mirroring their content on Akamai servers that in turn enables the users to get access to the content faster. For instance, if you are running a video streaming site that is having the central servers located in New York, but your users are distributed all across the globe. So, how will you reach out to them with faster and reliable services? In such cases, the Akamai NetSession Interface mirror the demanded content from the primary server to its local server to have the users get their hands without waiting for too long. Since the Akamai NetSession Interface is a background application that tends to reside on the computer, therefore, it has a small impact that is almost negligible on your memory or CPU capacity. Furthermore, if you are making use of any services or software using the NetSession Interface feature and you have it enabled, then it may also use a small amount of your upload bandwidth facilitating other users of NetSession Interface to download pieces of the publisher’s content from your computer. 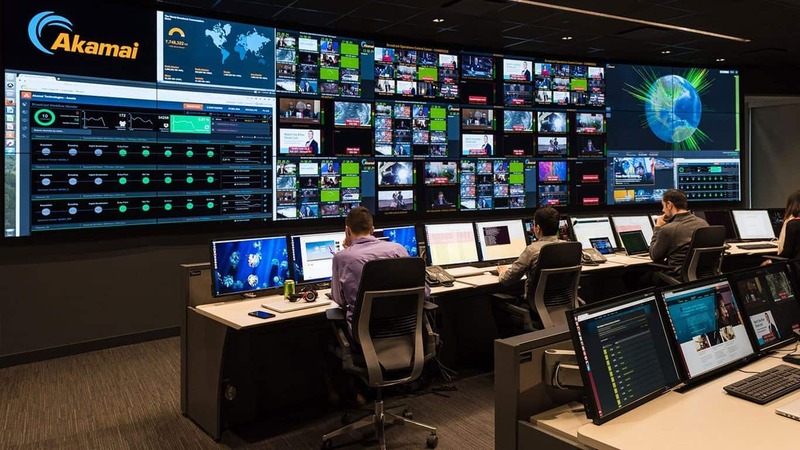 The prime purpose of Akamai is to serve their client’s data by mirroring their content on Akamai servers and reducing the load on client servers. Many web busy companies use Akamai to off-load their hardware work and provide data to the user from the nearest host. For Example: If you run a site like YouTube, you would require lot of storage hardware & best Internet connectivity. If your company is based in New York and you have users browsing your site from Asia, you need to have a local server in Asia to provide fast data delivery. This is what Akamai does, it will provide data to Asia users from their Asia servers so you don’t need to install new hardwares in Asia. You can also call Akamai as a Content Delivery Network (CDN). If a person browsing a website from Hong Kong China, has downloaded all the files from the Akamai’s Singapore server, now serves as a local server to Hong kong users. How does this help you? This reduces the overall wait time. So, all of this helps in providing you faster access to resources from the Internet. The entire Akamai network algorithm works on calculating the nearest server location and upload speed of that server. This calculations help to provide the users with fast download speeds by reducing the wait time. In this calculations, sometimes a user’s PC which has the resources already download and provides good upload speed is used as a server to provide to the requesting users locally. While you might be wondering how this program got installed on your computer, you’ll be shocked to see the customer list of Akamai Technologies as it includes many big brands like Microsoft, Adobe, Best Buy, American Idol, Audi and many more. Why Akamai is running on your computer? Akamai Netsession also allows other users of the NetSession Interface to download pieces of the publisher’s content from your computer. It does this by constantly monitoring your network use, and sending this information to the Akamai Server. The reason for file sharing going on between clients is that those common files (which are downloaded anyway, even if Akamai wasn’t in the background) are always common to a particular web presence – such as fixed banners and company logos. NetSession can also use a small amount of your upload bandwidth to enable other users of the NetSession Interface to download pieces of the publisher’s content from your computer. The NetSession Interface runs in the background and uses a negligible amount of your computer resources or upload bandwidth when you are not actively downloading content. Helps you in fastly downloading the media and program files from the Internet. Enables other users of the NetSession Interface to download pieces of the publisher’s content from your pc. Keep the downloads safe and secure by ensuring no data is being misused or being manipulated. Also Read: What are dwm.exe, svchost.exe, rundll32.exe and dllhost.exe in Windows. Whether Akamai Netsession is safe? Akamai Netsession doesn’t store or transfer any of your personal data. Only the company files are transferred whenever a user requests any resource from the company. Its main purpose is to improve speed, reliability, and efficiency for downloads and streams. 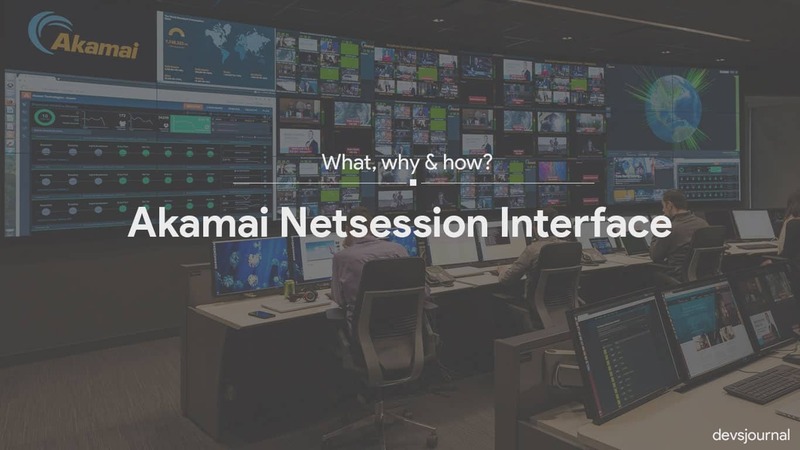 Also, Akamai NetSession Interface only downloads or streams content to you only after you have requested it from your software or media publisher’s interface. There have been some cases in which a particular busy computer with high bandwidth usage has experienced reduced download performance. While installing, Akamai doesn’t ask the user about using the computer as a local host of resources. But there are chances of you using someone else’s computer as a host to get data more quickly. Overall it’s an ecosystem which works on give and take basis. So, if Akamai Netsession safe? Yes, it’s completely safe. But if you’re facing any issues like slow Internet speed, high CPU usage or anything else, you can disable the Netsession Interface. But, the softwares of the companies you have been using, might not work as expected and the softwares would request you to enable Netsession interface for proper functioning. If you want to remove it without breaking anything, look through the list of Akamai customers and check for any publishers you have software from. You must decide whether you like having the program that uses Akamai more or less than not having Akamai’s client. Is Akamai Netsession Interface a Virus? No! Akamai Netsession is not a virus or a malware. It is a secure software/program to boost up your media downloads and streams from different platforms. Keeping it installed in your pc is not going to harm your computer in any way and if you decide to remove it, in that case, also you won’t feel any huge change, other than the slight decrease in download speed. There is no such thing like you have to keep it installed, whenever you like you can remove Akamai Netsession Interface. How it got installed on my PC? It is not installed by itself; it usually comes bound with software and games to provide you faster download speeds. When you installed them, this program also gets installed. Where is Netsession Interface and Client installed on my PC? Windows Users – Windows Control Panel > Akamai NetSession Interface Control Panel. On Mac OS X – Other > Akamai on the System Preferences pane. How to uninstall Akamai Netsession from my computer? 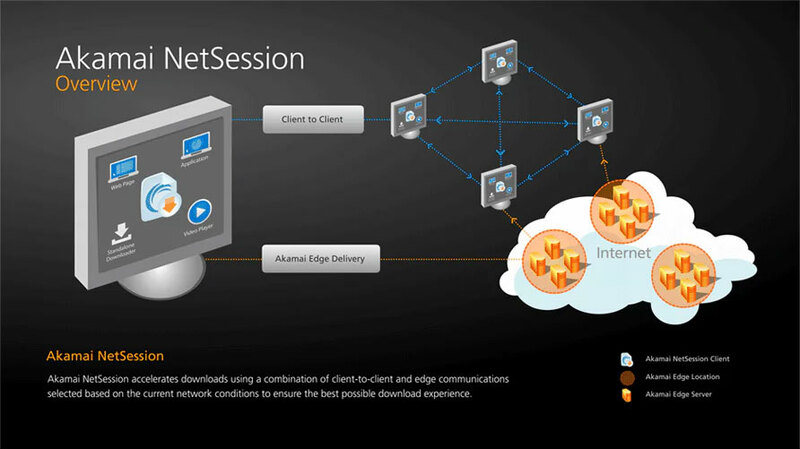 Akamai NetSession Interface is a shared network library that may be used by multiple applications. In order to uninstall the Interface, you need to uninstall all the applications using it. Other applications may not perform correctly if they look for but do not find the NetSession Interface. Go to the NetSession installation folder. Press the Enter key, and you have successfully uninstalled the Akamai Netsession Interface. In the Application -> utility folder, double-left-click Terminal. Go to the Akamai NetSession Interface installation folder which is normally ~/Applications/Akamai/. Press the Enter Key and you are done. Does it violate my privacy? No, Akamai doesn’t violate your privacy. It’s main goal is to improve the speed and efficiency of downloads, not to gather and transmit your personal information. So Relax, it doesn’t violates any privacy rules. The entire data transfer is been taken care by Akamai without violating your privacy or intruding on your computing. Upstream sources (hosts) are only those systems which are idle or utilizing minimal network resources which ensures your Internet speed doesn’t slow down while using it. So, This is all about Akamai Netsession and why it is running on your PC. If you still have any doubts related to this, feel free to use the comment section. We will try to resolve it as soon as possible. And If you give this post a share, it would be a great help for us to grow this site.